INDIANA JONES will return this fall, uh kind of. 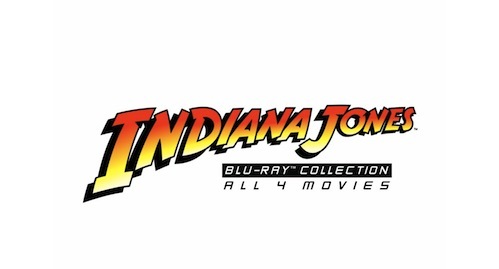 How about the four movie collection will release on Blu-ray with 'The Complete Indiana Jones Blu-ray Collection'. We don't have any specs yet but there is a cool trailer after the jump. FILM COLLECTION COMES TO BLU-RAY! SAN FRANCISCO, Calif. (February 29, 2012) – The man with the hat is back – and looking better than ever! The world’s favorite globe-trotting archaeologist is, at long last, embarking on his greatest adventure – when The CompleteIndiana Jones Blu-ray Collectioncomes to Blu-ray Disc from Lucasfilm Ltd. and Paramount Home Media Distribution. The Complete Indiana Jones Blu-ray Collection will be excavated in the fall of 2012 and will include all four of Indy’s thrilling adventures, using the highest possible high definition picture and audio presentation – along with a “best of” collection of documentaries, interviews, featurettes and a few new surprises.